With most marketing programs today, being able to position and then prove the success of our efforts is vital for not only informing other business decisions and engagement strategies but also showcasing marketing’s impact. Social media is no different: Understanding how platforms like Facebook, Twitter or Instagram are affecting what we do as brands is increasingly important as these become the communication channels of choice for consumers. So what kinds of proofs should we be looking for as we plan our wider social media marketing investments? And how can we be sure we’re putting enough time and energy into the way we position our brands and participate in these channels? To find out, we looked at what role social is taking in the marketing mix of five Australian brands, their views on the significance of social for customer engagement, and the lessons that can be learnt from how each is looking to ascertain social media’s worth. Social media is a critical part of CPA Australia’s overall communications mix and viewed as far more than marketing strategy, according to executive general manager of communication, content and publishing, Lisa Carroll. To reflect this, the marketing team now manages social platforms centrally on behalf of the entire business. “Social media allows us to build relationships with our audience in a way advertising doesn’t, and we use high-quality, relevant content to achieve high engagement levels,” she says. “The purchase decision to become a member of CPA Australia is not a quick or simple one, so content-based engagement enables us to maintain a relationship and provide ongoing value to our target audiences. To gauge the value of its social efforts, CPA looks at a range of metrics that aren’t just about potential impact on sales, Carroll says. “Worth is proven through the growth of highly engaged audiences who choose to continue to connect with us over time,” she says. “In a digital age, the interactions with a brand are likely to be varied, so it is hard to prove that any one interaction or campaign message or piece of content was the critical piece. A key way of measuring social for CPA is the quality and performance of content. As well as tracking total followers for each platform, the team also looks closely at the engagement levels achieved including likes, shares or retweets, comments and clicks. Qantas Loyalty CMO, Stephanie Tully, warns brands to be careful when it comes to social proofs. “Business people can jump on and look at things like social media in isolation, but the key is to see social as part of the integrated marketing view,” she said during the WebForward conference at CeBIT in May. Tully sees social as one channel that’s useful in the right context but only one part of how her brand and the group engage with audiences. “Social isn’t where we’re getting the best results from a marketing effectiveness perspective, but it’s an important part of the mix and that may change and become more prevalent in the future,” she adds. Read more BT Financial's analytics chief: Deep customer knowledge a "hygiene factor"
For the CMO and co-founder of mobile operator amaysim, Christian Magel, social media’s influence depends on how it is positioned in a business. At amaysim, social is seen a core component in how the brand relates to its customers. A key objective for amaysim’s marketing team is how to better utilise content to take a more strategic approach. 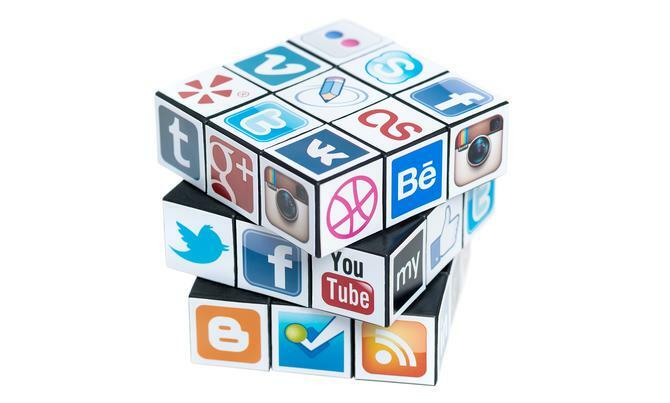 Social is both a channel, as well as a way of generating and assessing the value of that content, Magel continues. “What’s important for us in social media is both listening but also using it in a proactive way and communicating,” he says. Magel admits proving social media’s value in the marketing mix isn’t easily comparable to other digital channels, and says in terms of acquisition at least, social’s not there yet. “It’s not just the last click conversion or assisted click conversions that we see in social - although they are happening - it’s more the advocacy and retention that social media helps foster,” he says. One way amaysim uses social is to gauge the effectiveness of its customer self-service portal, Myamaysim. If the marketing team can’t decide whether one page should look like option A or B, it pops both up as images on Facebook and asks consumers to decide. These activities have triggered great responses and also more engagement than competitions, a result the team attributes to the fact that people feel they are directly helping shape the company. According to Magel, proving social’s worth should also directly relate to the specific goals set by different parts of the business. He adds that business and communication objectives need different levers when it comes to social. “It would the same thing with CRM – how you’re going after acquisition and how that compares to the other pieces of activity differs,” he says. Looking into how social will develop, Magel predicts social will be “the new print”. Social media also plays a significant role in how Lorna Jane connects with its audience, and has been a key contributor to its success locally as well as internally, the retail group’s head of digital, Sam Zivot, claims. On the list of wider business objectives Lorna Jane is using social media for are driving database acquisition, brand awareness, engagement and interaction, building stronger customer relationships, driving in-store and online traffic and sales, and reaching new markets and industry influencers. Each requires its own set of measurement and success criteria, Zivot said. But much like any other marketing initiative, you need a combination of short- and long-term thinking to prove social media’s worth, he said. A spokesperson for Myer tells CMO social media is now an integral element throughout all of the group’s major marketing campaigns. It’s also a way of providing customer support and allowing consumers to shape their own experiences with the Myer brand. “Our social media platforms allow us to connect and interact with customers and fans and maintain an ongoing dialogue for both marketing communication messages and customer service issue resolution,” the spokesperson says. Myer’s key channels include Facebook, where it has 260,000 followers, and Instagram, where it has 50,000 followers. It uses both channels to share content as well as in-store offers and services with these audiences, plus exclusive access to events, brand ambassadors and celebrity appearances. “Our ability to demonstrate the power of social media is very important as we continue to grow these channels and increase their impact on delivering our business and marketing objectives,” the spokesperson continues.